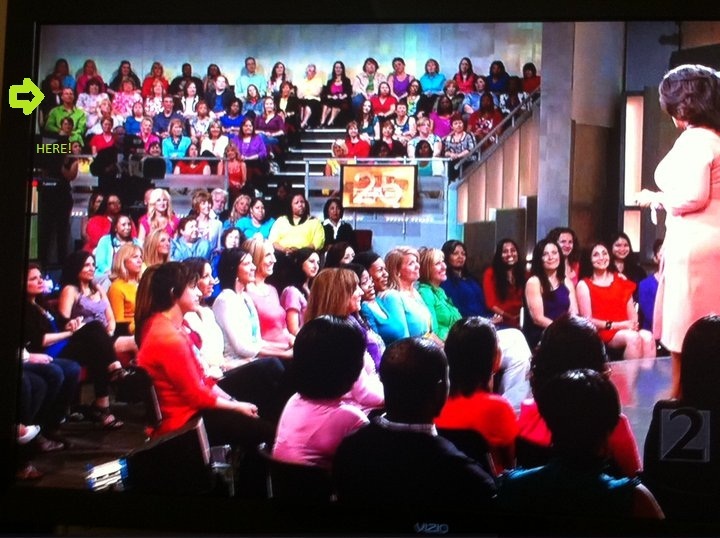 For 25 years I’ve been watching Oprah Winfrey share her life and ideas with America and the world. I’ve learned a lot about celebrities and people making a difference but I’ve learned more about myself. In the late 1990’s Oprah began “Change Your Life” television by taking her show in a direction that would empower others. It was at this point where I actually wrote a letter to my boss at Star 94 and was considering resigning to move to another morning show. I’ve never shared this with anyone before now. (Leaving your comfort zone of over 20 years is dificult isn’t it!) 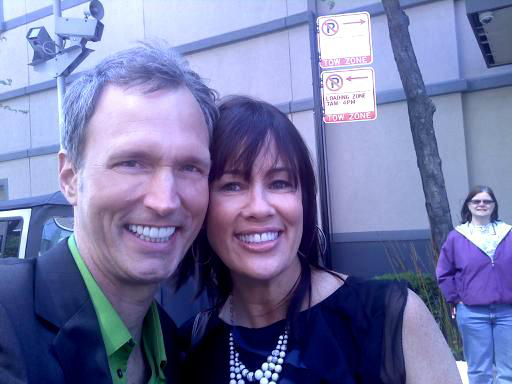 In the end, the new morning show didn’t happen and I remained at Star 94 and moved into a more prominent position with Steve McCoy and Vikki Locke. 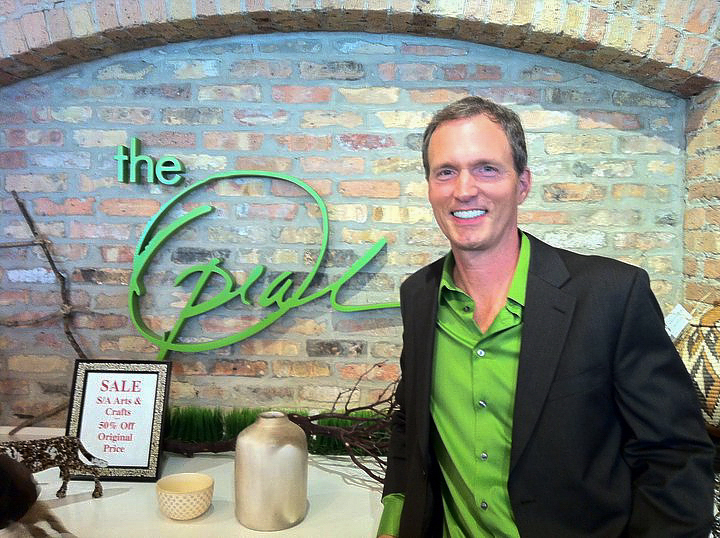 Being brave enough to want to leave the “nest egg” and make a change was something I learned from watching Oprah. With only 3 shows left (and the first two were her “surprise celebrity” shows taped May 17th at The United Center in Chicago) I knew only one show remained. 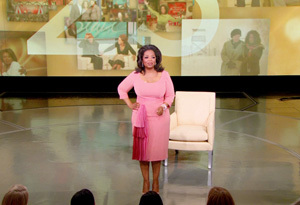 The Oprah “finale” show! I wondered who would be lucky enough to attend this historic show. On Friday I received an email from the Oprah show stating that they had received my email and I was invited to attend the Oprah Winfrey show in Chicago!! Words cannot describe my joy rising! I now know where I’ll be on Wednesday May 25th at 4 p.m. While “I’ve had the time of my life” was playing, I was engulfed in this unforgettable moment that was EXHILARATING!! OFF THE CHAIN!!! I was jumping up and down, hugging women I didn’t even know. 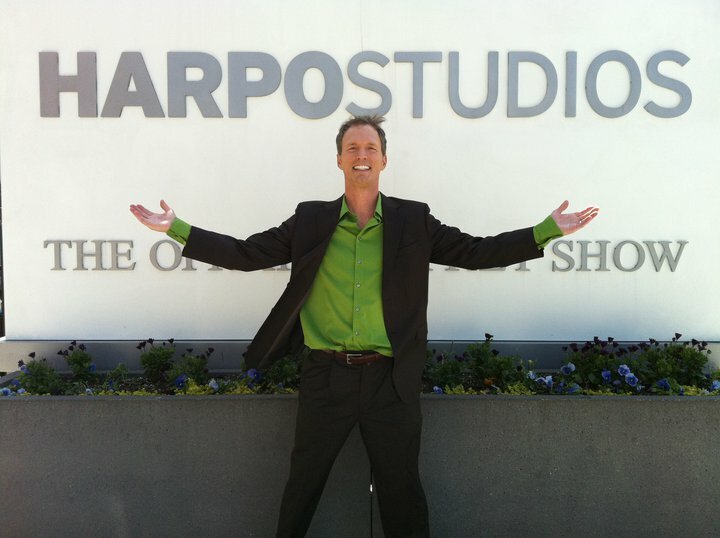 I turned and thanked the Harpo team for everything they’ve done. Then Sally Lou asked me to stay on stage with her as she asked “Who are you Tom Sullivan, where have you been? 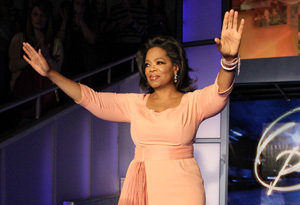 !” She handed me the microphone and at that moment I said “I’m here for Oprah!!! 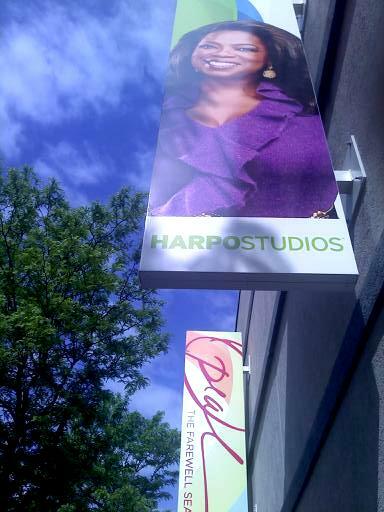 We Love Oprah!! 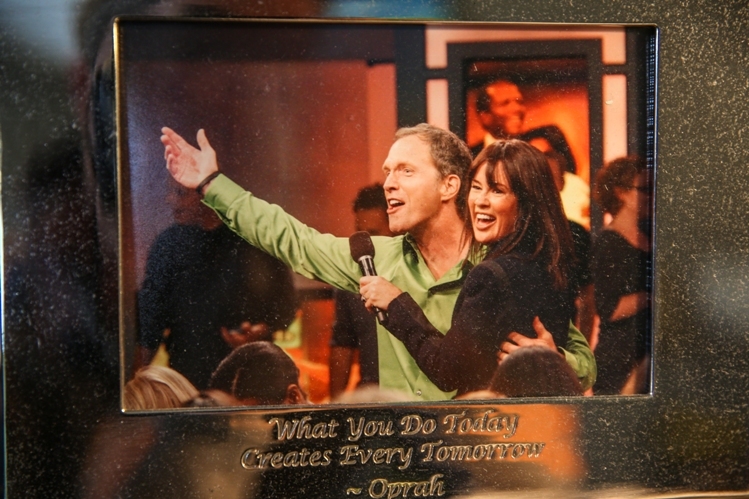 WHO LOVES OPRAH!! This is Joy Rising!! The entire room erupted!! Then I said “Would someone please take my picture because I won’t remember ANY of this!” Tyler Perry, Maria Shriver were all laughing. The party kept going! 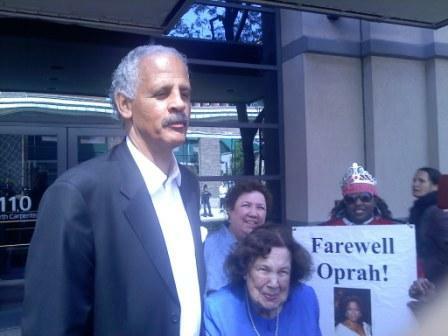 Stedman, Gayle, Bob Greene, Suze Orman, BeBe Winans, Cicely Tyson and even Oprah’s fourth grade teacher Mary Alice Duncan all applauded. 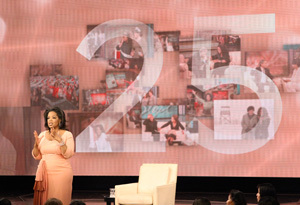 The opportunity reminded me of Oprah’s final message: Find your calling and be your best. Empower others no matter what stage you’re on. Sally Lou who’s amazing contagious energy filled everyone in the room. My energy tank overflowed! 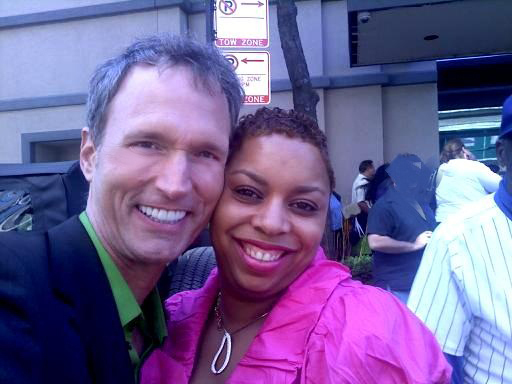 Sharvonne who contacted me after reading my email and invited me to Harpo Studios for the farewell show. Also thank you to the team at Airtran Airways who worked with me during the storms to rearrange my flight. Thank You to Vikki Locke at B98.5 FM (You can hear my interview here.) And to Cindy and Ray at Star 94 FM (you can hear the interview here.) And to 98.1 FM KYKY “Phillips & Company”. (You can hear the interview here.) And thank you to the tireless team at Harpo studios who operated 24/7 in pure excellence in helping deliver the most exceptional show in television history. So grateful to be there! I’m looking forward to more of my OWN incredible moments. Ratings Note: The farewell episode averaged 16.4 million total viewers, making it the most-watched episode in more than 18 years since February 15, 1993! Thomas Sullivan, COME ON DOWN!! Here.